We started using this coffee for cold brew because it’s low acid and tastes great. It holds up to ice and milk for delicious iced lattes – besides being terrific to drink black. Low acidity makes it easier on the stomach too – greatly appreciated. Best Non Bitter Bold Coffee Ever! Love This Coffee… I was told I made Great Coffee and I told them it was Easy with this coffee… I do 1/4 cup scoop with 10 cups of water and its perfect everytime! This coffee is now my house brew and so good, overnight guests commented on it. They asked about the coffee, read the bag and now they’re converts. 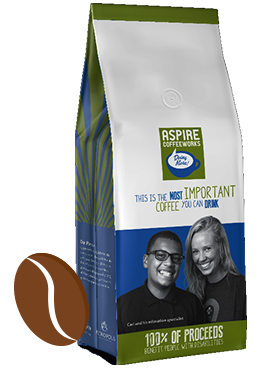 I also buy Aspire CoffeeWorks to give as gifts and it’s always a big hit. I wish I could give Aspire Bold Ambition more than 5 stars! No other coffee compares. It has the best, fullest flavor of any bold roast I’ve ever tried and it is never bitter. Just smooth, bold and delicious with chocolatey aftertaste. Yum! If you have shied away from a bold roast in the past because it is too strong and bitter, this is just the right brew for you. 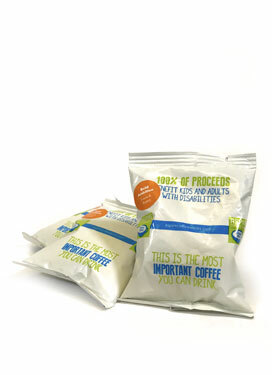 Even better, this is an outstanding product that helps others with every cup you drink. . Thank you, Aspire and Metropolis for a terrific product that starts my morning off right every day! 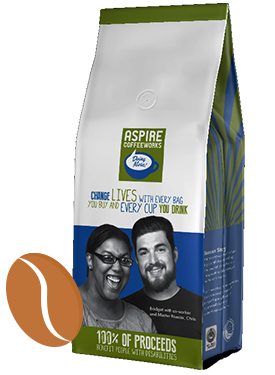 My husband and I love Aspire CoffeeWorks coffees. We wake up every morning to a freshly brewed cup or two of the bold ambition roast. 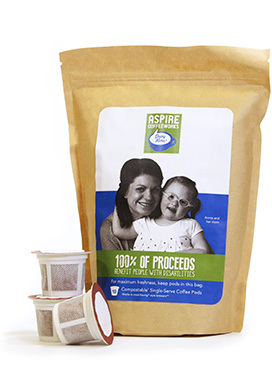 Not only is the coffee rich, delicious, and aromatic, every bag sold supports Aspire! I have fallen in love with the Bold roast. I have always appreciated a full-bodied coffee with character and when my husband brought home Aspire CoffeeWorks’ Bold, I knew we found our blend! To up the game, we purchased a French press and Aspire CoffeeWorks grinder to draw even more character out of our coffee. 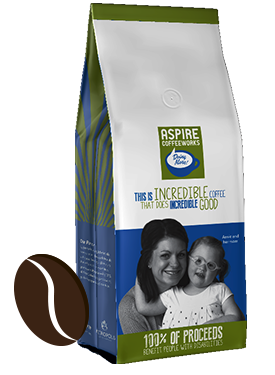 Sunday morning’s would not be the same without our Aspire coffee!